DALLAS, TX / ACCESSWIRE / September 27, 2016 / Planned cities, such as the colonial forces of Jamestown, Philadelphia and Charleston, have been shaping America since the 16th century. 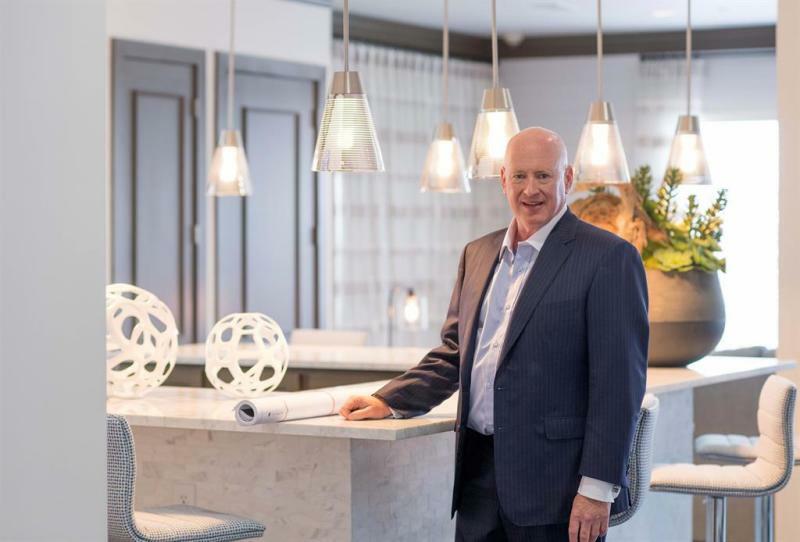 Today, Marcus Hiles, CEO of Western Rim Property Services, believes that designed communities are not only beneficial to residents, but integral to the country's real estate market. The Dallas real estate investor has been constructing stunning developments for over three decades, and has witnessed firsthand the transformative impact they've had on Texas' citizens and economy. The first elements of planned communities in the United States were seen in St. Augustine in 1565. During the industrial revolution, company towns like Gary, Indiana were the sites of technological innovations and economic fervor. The first modern communities appeared during the Florida land boom of the 1920s in Southern Florida, when the famous Miami suburbs of Coral Gables, Opa-locka, and Miami Springs were fully planned with themes to emulate the look and architecture of Spain, Arabia, and Mexico. The Great Depression saw the Federal Government build model towns in West Virginia, Tennessee, Maryland, Ohio, and Wisconsin in order to ease the burden of the economic downturn on coal miners, construction workers, and their families. The remote neighborhoods of Oak Ridge, TN; Richland, WA, and Los Alamos, NM were built during World War II to accommodate the families of the scientists, engineers, and industrial workers of the Manhattan Project. Today, blueprinted cities cover the country, including the nation's capital of Washington, D.C., and the state capitals of Mississippi, Ohio, Indiana, North Carolina, South Carolina, Wisconsin, Utah, Florida, and Texas. Since the 1960s, master planned commercial developments have dominated the residential sector, and Texas has been at the forefront of this trend. Las Colinas, established in 1973, was one of the first such examples, and is still experiencing growth today. In 2006, citizens voted to approve changes to deed restrictions to allow an even greater density of urban mixed use construction. Later in the 1970s, The Woodlands was created, and still stands as one of the premier residential and business destinations in the Houston area. The success of Marcus Hiles' business derives from the precedents these great communities set. Western Rim's developments feature resort style amenities so that their tenants never have to leave the grounds, if they so choose, and are built upon carefully selected lots that feature beautiful natural landscapes and convenient access to Texas' many attractions. Each property's unique planned events and social activities promote healthy, active lifestyles and foster accepting, neighboring environments. Marcus Hiles, Fort Worth real estate investor and developer founded Western Rim Property Services and its affiliate company, Newport Classic Homes, in 1990. Today, Hiles owns and operates over 15,000 rental units, with more in future development. His affordable luxury apartments are impeccably designed, ecologically sustainable, and incorporate nature at every opportunity. As of 2016, over 30,000 trees have been planted on Hiles' properties, assisting with the annual removal of 75 tons of carbon dioxide from Earth's atmosphere.